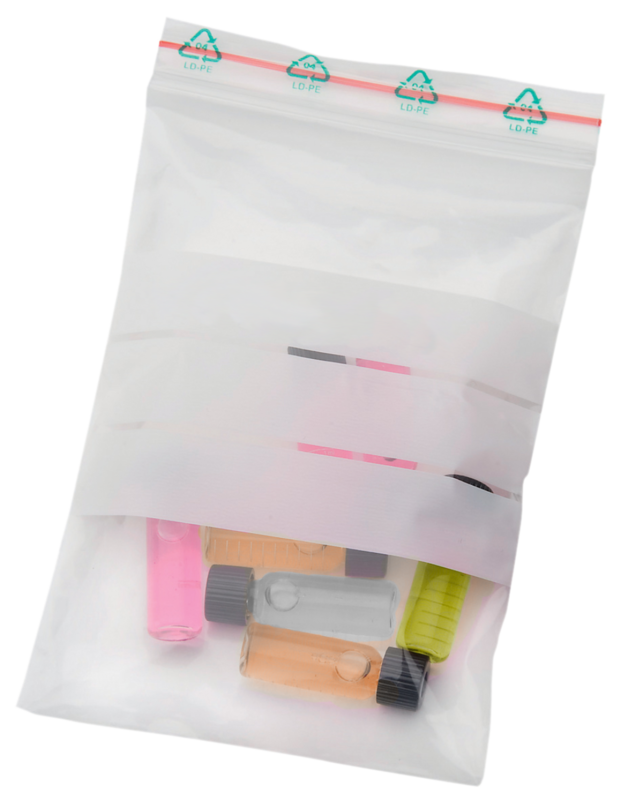 LDPE bag with practical zip-lip closure. 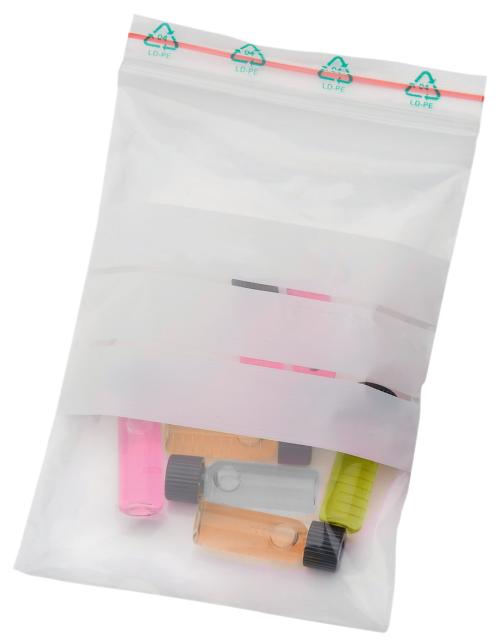 The bag can be very quick and tight closed by squeezing. 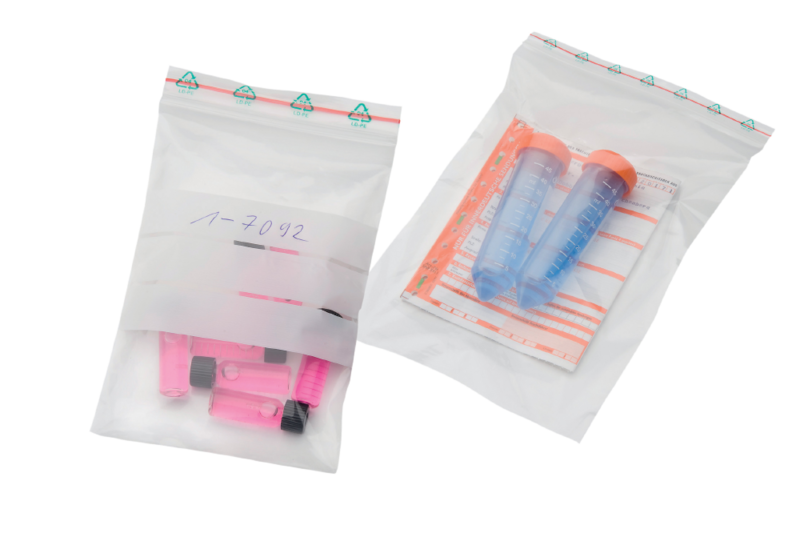 Suitable for storing or dispatching of samples.